Happy Cider Sunday Everyone. I hope you are enjoying some great ciders this weekend. 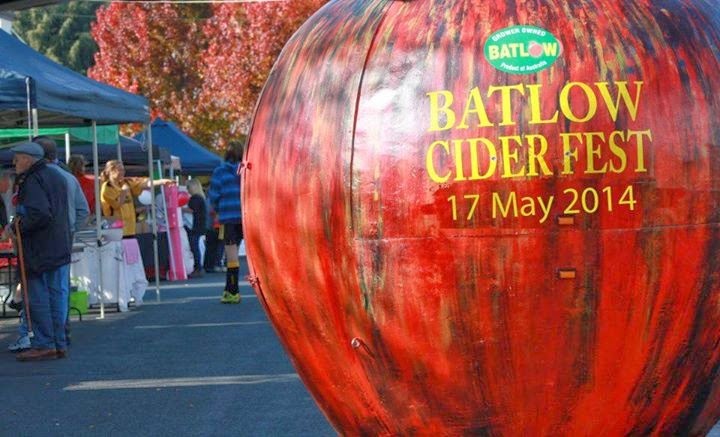 I really can't believe how quickly the month of May is approaching.So, I want to tell you all about an exciting cider event coming up next month in Batlow, NSW - The Batlow CiderFest. A former work colleague of mine in Canberra attends this event every year and I always look forward to hearing about her 'weekend of cider'. Unfortunately, this year Pete and I I wont be able to make it , but hopefully we can include it in next year's travel plans. 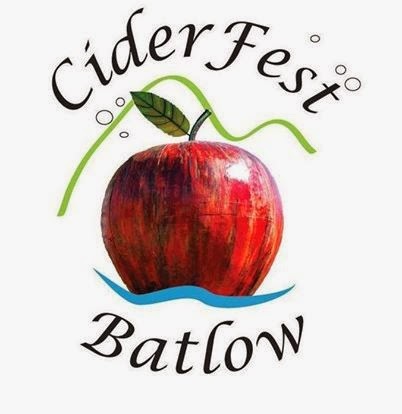 The Batlow CiderFest is a two day event which starts with a Cider Industry Conference on Friday 16th May,followed by the CiderFest Street Festival on Saturday 17th May, 2014. The Street Festival includes cider tasting, sales, local food stalls and entertainment. CiderFest Batlow is a not-for-profit community organisation run by a committee of volunteers. Their aim is to develop and manage the event, which supports the apple industry, the Batlow community and a rapidly evolving Australia Cider business. To attend the 2014 Cider Industry Conference register ASAP. Conference cost is $50p.p. (payable at the door with prior RSVP) and includes access to all presentations, morning tea, lunch and afternoon tea. To RSVP or find out more phone or email the conference convener Kevin Dodds,NSW Department of Primary Industries. Have you discovered a new cider that you think I might be interested in? If so please leave a comment below and I'll be sure to check it out.